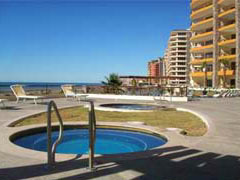 Located on the eastern end of Sandy Beach, the Sonoran Sky Resort Condo rentals, at Puerto Peñasco Mexico. 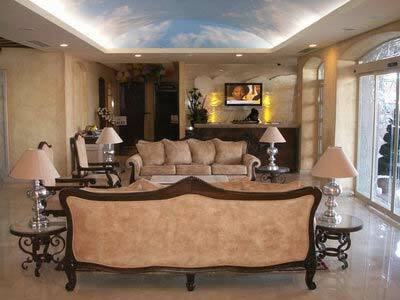 This is one of the newer resorts on the Sea of Cortez. 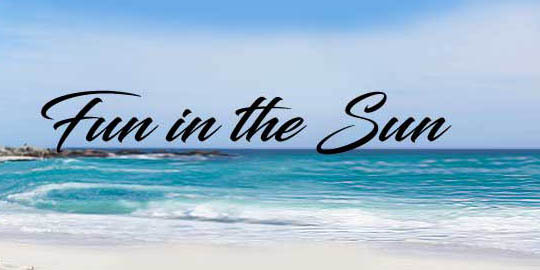 Come to Rocky Point and stay at the Sonoran Sky Resort condos and enjoy all the fun in the sun you can handle. 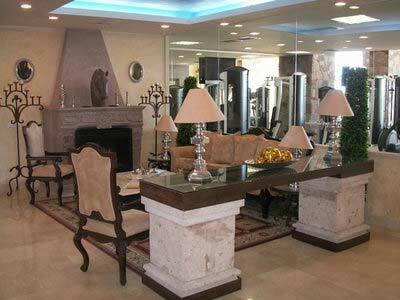 136 different condo floor plans to choose from and the number of bedrooms range from one to four, all with easy to the swimming pool and beach area. 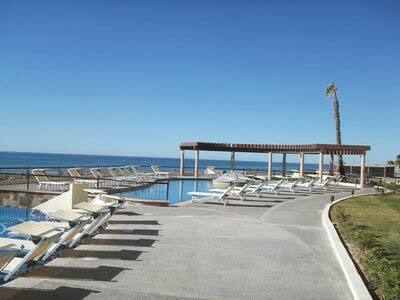 Plus an amazing view of the Sea of Cortez. 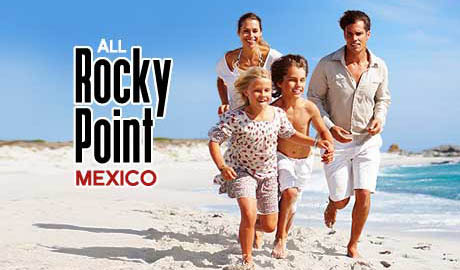 Camino Costero 600, Ferrocarril Playas, 83550 Puerto Peñasco, Son., Mexico.